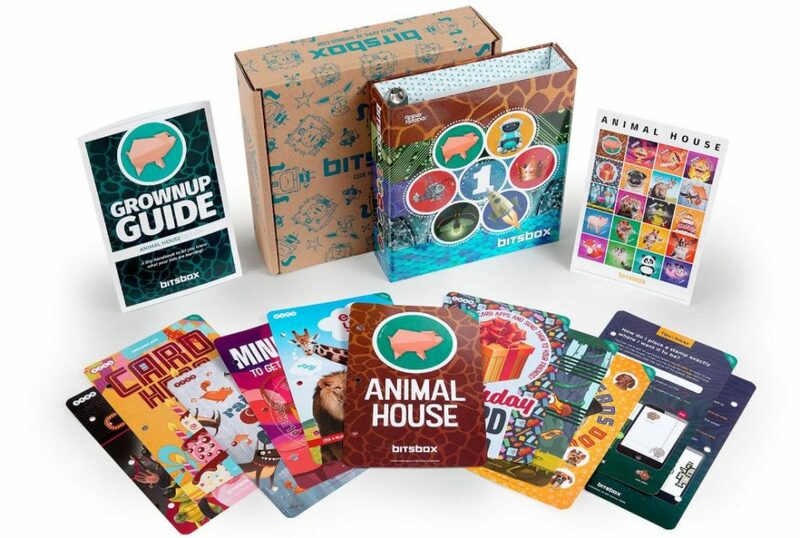 Bitsbox is a subscription box for children ages 6 to 12. Each month, kids receive a project kit from Bitsbox. In this kit, there is a Bitsbox binder, coding supercards, stickers, a chart, a grownup guide, and access to the online program. With this subscription box, children get the opportunity to try coding from a young age. It’s a great way to introduce them to this concept and give them some beginning practice. They get to create apps via an online program. Bitsbox says that this subscription box is for kids who are motivated by making. It’s an awesome way to get them involved in coding and allows them to do what they love! Let’s take a look at how Bitsbox works and why it may be a good fit for your child! Bitsbox has figured out how to make a very engaging subscription service for children to enjoy. Though coding can seem complicated, these projects are geared toward kids. This means that they are fun, simple, and engaging! These hands-on activities will help to inspire creative children. The projects keep kids of all ages interested and ready to learn. It shows children what’s happening behind the scenes of their favorite apps and allows them to create their own! One of the best things about Bitsbox is that it is very real. It is simplified and easy for kids to understand, but it is still realistic. Children can then see how their favorite apps were created. They can understand the meaning behind real life concepts that use coding. When children understand how coding works, it becomes more realistic for them to create their own projects. With the Bits Box, children actually have a chance to create projects after learning about how it works. This helps to encourage lifelong learners and will also spark an interest in coding from a young age. Children may continue to grow in their coding skills from their experience coding with Bits Box. Bits Box is a monthly subscription box so you will pay for it monthly. It starts at $16.95 per month and goes up from there. The Digital Bitsbox starts at $16.95 per month and gives you access to the projects via PDF. The Basic Bitsbox starts at $24.95 per month and is the most popular option. The Deluxe Bitsbox starts at $37.95 per month and includes extra projects and other goodies. It’s more cost-effective to subscribe to an entire year instead of paying month by month. Bitsbox has monthly, 3-month, 6-month, and-12 month options. This is nice so that you don’t have to commit to a whole year until your child has tested out the first box. With Bitsbox, your subscription will be renewed automatically so keep this in mind. They do allow you to cancel it whenever you would like to though. When you sign your child up for a Bitsbox subscription, they will receive a monthly box. Every month is planned around a new theme. These themes include anything from animals to pranks. In this box, they will get everything they need to complete the projects. Children will also need access to a computer so they can complete the online coding activities. The box does include a grownup guide, which allows parents to help their children. This is helpful for parents who may not be familiar with coding or those who want to give their children extra explanations. First, your child will select the project they wish to complete. Then, you have to go to BitsBox.com. Here, you can enter the code for a specific app. Several app codes come in each box, which allows your child to choose the one they are most interested in. As your child adds the lines of code, they can see how it looks on a virtual tablet on the computer. This allows children to see what changes can be made with a simple line of code. After the project is complete, your child will have a chance to run the app on their own tablet. All they have to do is scan the QR code on the computer and the app will be downloaded. Later, if your child decides to change the code via the computer, the app will update on the tablet. Overall, Bitsbox has a lot to offer young learners. They can code on their own and still make very realistic projects. This subscription box is fairly affordable and is worth the money for this hands-on learning opportunity. If your child is interested in coding, consider giving this a try!